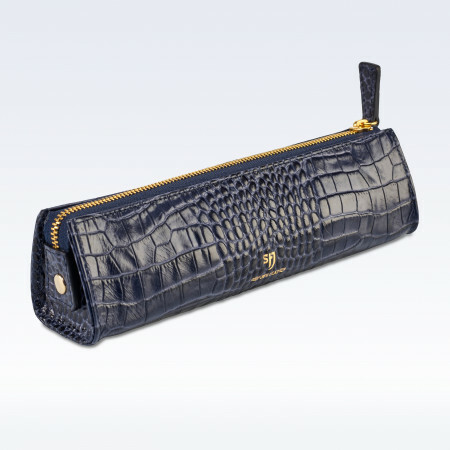 Our compact stylish leather case is ideal for cosmetics or stationery. A leather tabbed zip opening ensures easy access to your essential items. Makes an ideal gift. Available in a variety of colours and textures. Perfect as a pencil case for stationery. Leather zipped tab and lined in StJ monogrammed fabric .